Does believing in Christ mean refusing to ask hard questions in the midst of doubt? Doubt is familiar territory for Lee Strobel, the former atheist and award-winning author of The Case for Faith. But he believes that faith and reason go hand in hand. 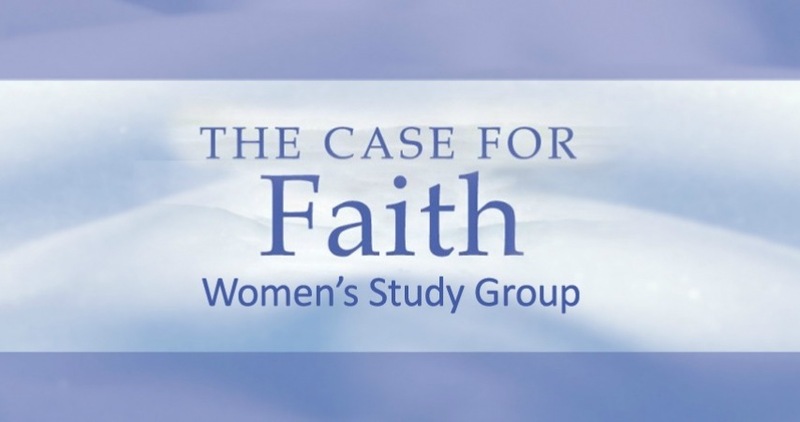 In this six-session women’s group study, Strobel explores the most common emotional obstacles to faith in Christ. These include the natural inclination to wrestle with faith and doubt, the troubling presence of evil and suffering in the world, and the exclusivity of the Christian gospel. They also include this compelling question: Can I doubt and be a Christ-follower? This group study complements Horizon’s Exploring Series’ that have addressed some of the tough questions that are mentioned above. This study is geared toward those individuals who are exploring and new to faith who may want to learn more about Christ but who are faced with difficult questions standing squarely in their path. Join this group study to learn how to overcome these obstacles and find new confidence that Christianity is a reasonable faith. Please pick up The Case for Faith book and a study guide prior to first meeting at the Registration Desk located in the Atrium by the fireplace. Optional preparation for first meeting if you are interested: read "Challenge of Faith" pages 7-23 and "On the Road to Answers" pages 25-31 in The Case for Faith book. Also read pages 9-14 in the study guide and if you have time, jot down some answers to the questions to discuss at the first session. Homework: One to two hours a week. Please notify us if you register for this group but your plans change and you are not able to attend. Email groups@horizoncc.com or call Carol Dunham at 513-272-5800 ext. 244.